Catastrophic fire engulfs Notre Dame Cathedral in Paris - Integration Through Media ....! 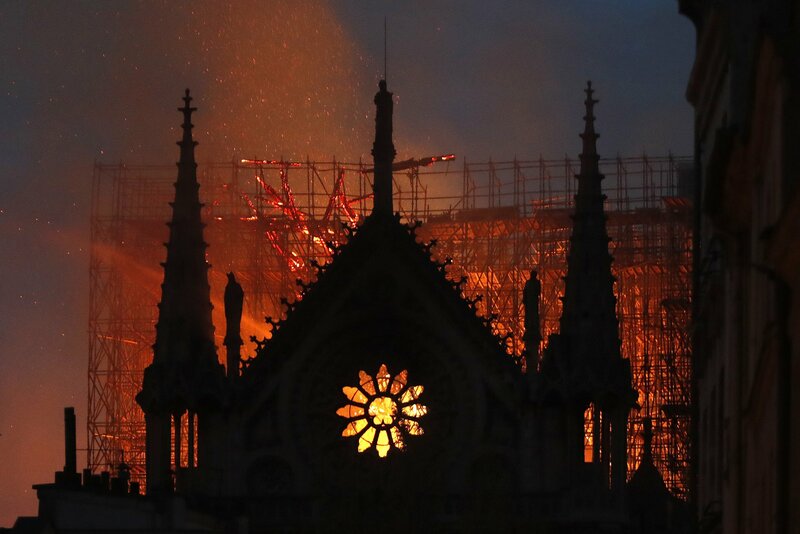 By LORI HINNANT and SAMUEL PETREQUIN, PARIS (AP) — A catastrophic fire engulfed the upper reaches of Paris’ soaring Notre Dame Cathedral as it was undergoing renovations Monday, threatening one of the greatest architectural treasures of the Western world as tourists and Parisians looked on aghast from the streets below. France’s Interior Ministry said firefighters might not be able to save the structure.